Did you know that cement is comprised of limestone, calcium, silica, and iron oxide? Or that 'Portland Cement' is not a brand name but a type of cement that has been in existence since the 1700s? 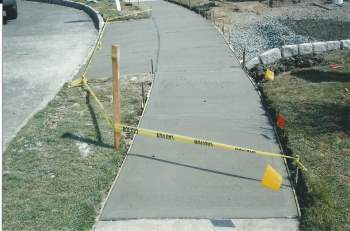 You don't need to because we, AAP Construction, know all about cement – and we're here to do any and all kinds of cement work you may need. Would you believe that there are eight types of cement? From Type I for general purpose to Type V for resisting sulphate-containing soils, these cement types have different uses. Again, AAP Construction won't bore you with the details though if you are curious, we'll be happy to inform you. Just phone us at (973) 298-1013 for a no-obligation tutorial on all things cement! We prepare our cement in accordance with the American Society for Testing and Materials standard. We mix it using a proper rotating kiln. And we work it with the appropriate type of trowel. You will see our masons, practiced since 1993, handle their trowel as firmly as a digger handling a spade yet as deftly as a conductor handles his baton! We stand by any promises we make and by the work we do, but at the same time we also understand your need to keep costs low, and so our goal is to deliver value in Cement work. By this we mean getting not just the maximum quantity of work for your dollar, but getting top quality on a dollar-for-dollar basis. Go ahead and call us at (973) 298-1013 and we'll visit you and explain what we mean. And while we're at your porch, we'll be happy to give you a no-charge, no-obligation quote!